Perhaps the only kale you have ever eaten was from the supermarket or a plant you grew one summer and thought “OMG – that’s really terrible! Why would anyone ever eat that! !” But – you really want to like it – because you keep reading how good it is for you. Well, I’m here to tell you that it really IS good. You just need to eat it one fall, fresh from your garden, after the first frost touched it! 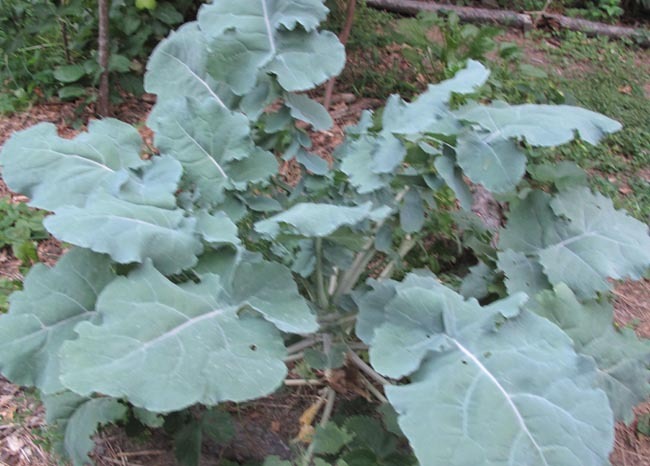 You will be amazed at what a mild and surprisingly tasty green Kale is! So – perhaps now you are willing to give it a try – but don’t have a vegetable garden. Try tucking a few plants here and there in your shrub border or your flower bed (where they will get decent sun), or put them in big pots on your deck or patio where they are handy to harvest. They’re beautiful all winter! Mix some colorful Swiss Chard plants in with them and you will add beauty to your winter garden while growing some truly high quality food. There are also a few hardy and very pretty lettuces that will grow through the winter – red leafed or chartreuse with red spots as well as nice mixes of lettuces, kales and mustards called “mesclun”. Give them all a good handful of organic fertilizer and compost when you plant them so they will grow strong and quickly, before cold weather sets in. And keep a bit of floating row cover cloth to tuck over them on nights that get down into the 20’s! Kale – many, types, shapes and colors. Russian Red or Wild Red are my present favorites. Swiss Chard – many colored stems from white to yellow to red. Hardy winter Lettuce – lots of reds and speckles – pretty plants for your deck or patio. Mesclun – nice mixes of winter hardy greens of all kinds. Most will grow happily in part shade. Broccoli needs the most sun. They should be fertilized a couple of times in August and September to keep them growing well. Your own diluted urine is a perfectly balanced fertilizer and it’s free! Just dilute about 20 to 1 and pour on the roots, not the leaves. They can be cut back rather radically and will grow a new top. You won’t need to do this until next spring and summer when they start to go to sprout and flower. 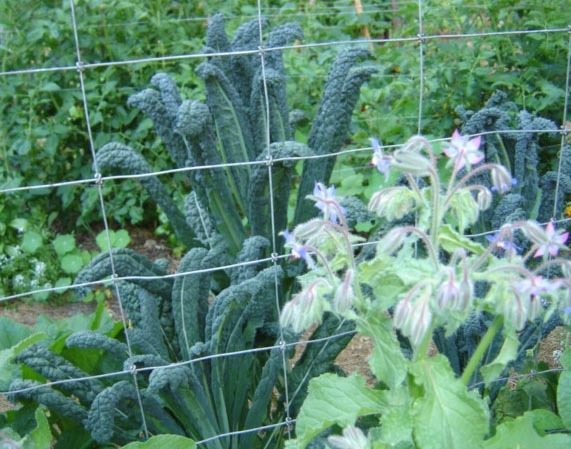 Kale, Collards, Broccoli, and Swiss Chard will often last and produce in your garden for a year or more!All types of Kale, Collards, Mustard and other Asian greens put out tasty flower buds in spring just like Broccoli (although smaller and daintier), so eat the tops you cut back. You can continue to do this for many weeks. They are one of my springtime treats! From mid-August to the end of September, you can seed the following right in your garden, but you must be diligent in keeping the soil moist until they get a good start. 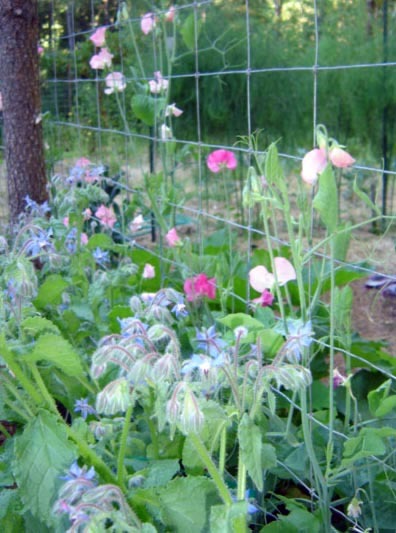 These can be seeded where you want them and left to come up in the spring when they are ready: Sweet Peas, Calendula, Nasturtiums, Garlic and Potatoes. Check out your local nurseries and you will find a nice supply of veggie starts available now or early September. The sooner you get them in the ground or big pots the better, but be sure to keep them well watered through hot, dry weather. A little effort will reward you with fresh home grown greens all winter long!